This species was considered part of Gehyra variegata until split out by Hutchinson et al in 2014. 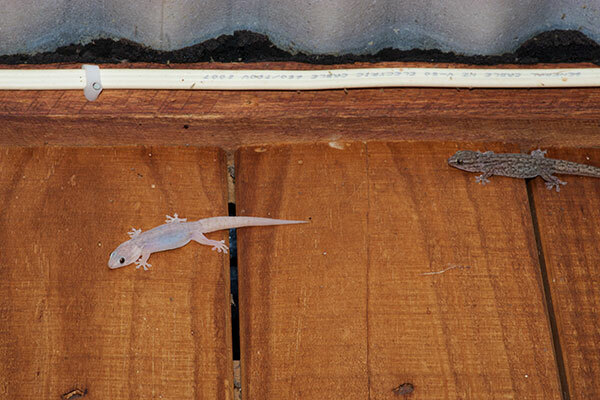 These geckos are found throughout much of Australia, and are very common around human habitation. Several of them were frolicking on the outside walls of the motel room our friends Martin and Julia were staying in on our second night in Australia. 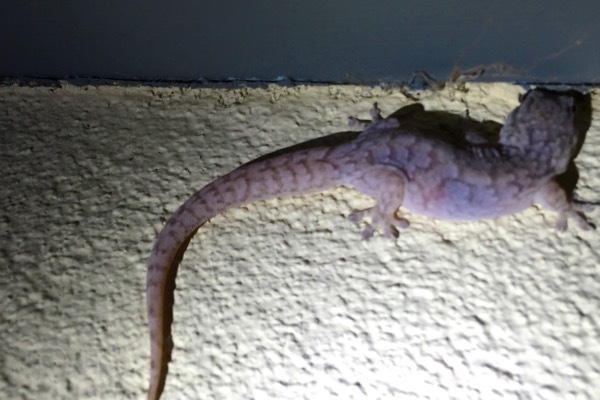 I knew the geckos were common, and didn't bother delaying our goodnights to snap a few photos. Of course, we never saw another in our three week trip. Fortunately I didn't have to go my entire life regretting the missed opportunity in Alice Springs to photograph this species. Eastern Tree Dtellas were also the go-to choice for resident "house geckos" in Glen Helen Resort. I don't know why one is so much lighter and one is so much darker. Please email me if you do know! This gecko was scurrying around the walls inside my room at the Arkaroola lodge. I assumed it was Gehyra versicolor, a species I had already seen, so I didn't bother to try to get a decent photo. Then for a while I was under the impression that it was Gehyra purpurascens and was sad that I didn't have a good photo. But then I was re-convinced that it was G. versicolor after all. I think the overall conclusion is that it's better to always get good photos.